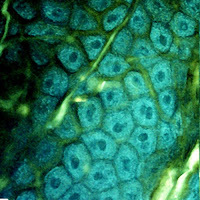 Self-renewal and potency: the beauty of stem cells. Researchers at Keele University have now developed a clever method of delivering stem cells to a desired destination through the use of magnets. In the study, stem cells coated with magnetic particles were injected into mice and magnetically maneuvered to where they were needed, leading to the growth of new bone. The team estimates that the technique could be tested in humans within 5 years and used to treat injuries, fractures, and arthritis. In this case, a patient’s own stem cells would be harvested from their bone marrow and coated with magnetic particles. The magnetized cells would then be re-injected into the body where magnets would be used to properly position them.